ZF010016 - POSYC holding system from top, including housing aluminum profile. 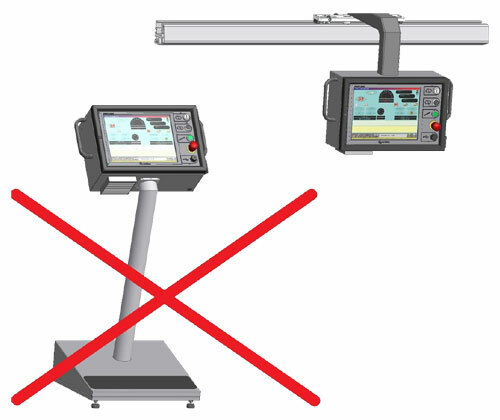 The upgrade includes the installation of the operator panel on a smooth guide at the top of the machine frame without ground support. This modification DOES NOT INCLUDE THE SUPPLY OF THE OPERATOR PANEL (POSYC), because it is possible to use the existing one; the installation also implies the repositioning of the safety doors, in order to allow the electrical panel opening: this operation will be carried out by SMI technician during the assembling of the retrofitting. The machine must be equipped with aluminum guides. - The control panel is at the operator's disposal at any phase of the intervention, in the different operating stations.